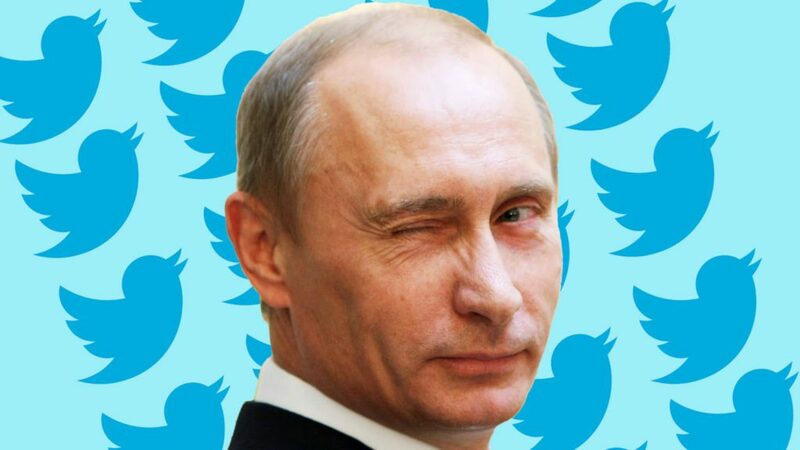 How Could Hillary Clinton Possibly Win With Twitter And Facebook Both Infiltrated By Putin? We all know that most people base their votes upon what they see on Twitter along with Facebook ads. As Twitter goes, so goes America. Of course I am being sarcastic in response to the latest anti-Russia scare to hit the media and be investigated by Congress. Reportedly Twitter was packed with fake news the week before the election, allegedly even including fake news from Russia to attempt to sway the course of the election. So far we have seen many sensationalist reports of Russian attempts to influence the election, with many quickly falling apart. At this point we really do not know if the release of email from the DNC was from a Russian hack or an inside leak–although nobody questions the accuracy of the information from Wikilieaks which shows how the DNC violated their own rules to rig the nomination for Hillary Clinton. Russians might have attempted to hack voting machines, but even if these reports are accurate, they all indicate that none of the attempts were successful. Similarly reports of Russia using Twitter may or may not turn out to be true, but even if they are my true view is the same as the reports of Russia spending a rather trivial 100,000 on Facebook ads. What is posted on Facebook and Twitter is not what determines election results. It is questionable how any persuadable voters there are period. Those who are persuadable are faced with far more campaign ads and other efforts from the campaigns themselves (including paid trolls used by a pro-Clinton SuperPAC known to have coordinated with her campaign using legal loopholes), and these actions on Facebook and Twitter are rather trivial in comparison. Is Clinton really trying to claim that Russian trolls on Twitter were more effective in campaigning for her in Michigan, Wisconsin, and Pennsylvania than her own campaign was? The real fake news is Hillary Clinton’s attempts to shift the blame for her loss to others. Shattered revealed that Clinton decided within twenty-four hours of losing to blame others such as Russia, as opposed to taking responsibility for her own mistakes. Did Russia send Hillary Clinton a tweet telling her to set up the private server–and then spend the next couple of years lying about it? Did Russia send Hillary Clinton a tweet telling her not to campaign in Wisconsin or Michigan?